“You will ask where my ideas come from. I cannot say for certain. They come uncalled, sometimes independently, sometimes in association with other things. It seems to me that I could wrest them from Nature herself with my own hands, as I go walking in the woods. They come to me in the silence of the night or in the early morning, stirred into being by moods which the poet would translate into words, but which I put into sounds; and these go through my head ringing and singing and storming until at last I have them before me as notes.” — Ludwig van Beethoven. 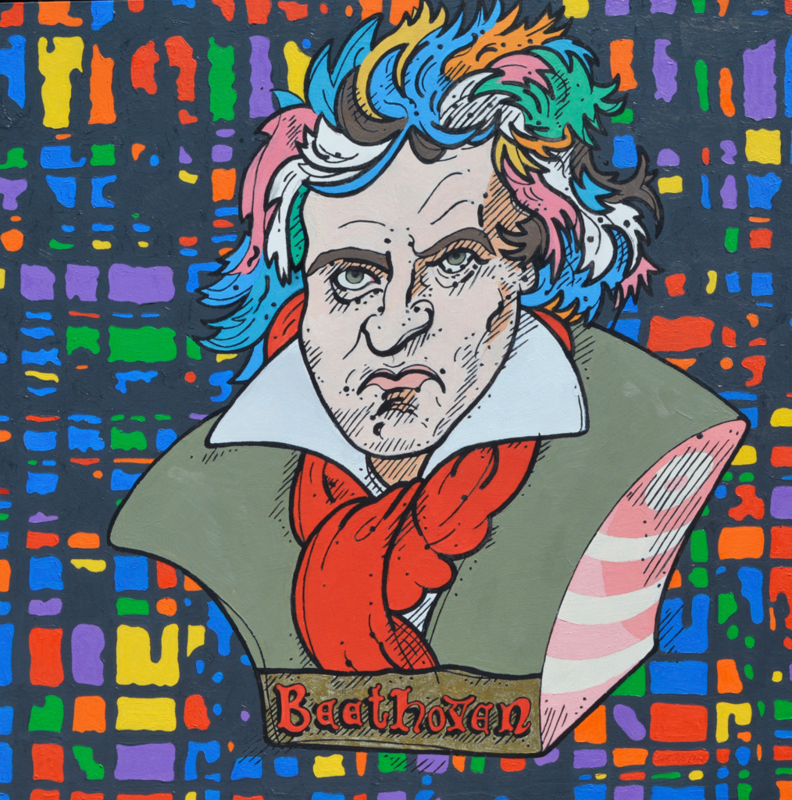 I don’t know whether it was acute sense memory or a synesthetic ability to see music that informed Beethoven’s ability to compose such big music, though he was deaf. In this work, I re-animate his bust, here positioned in front of the clamor of colors, staffs and symbols his own ordered, disordered mind may have resembled. His wild hair is colored to suggest Milton Glaser’s iconic Bob Dylan poster.